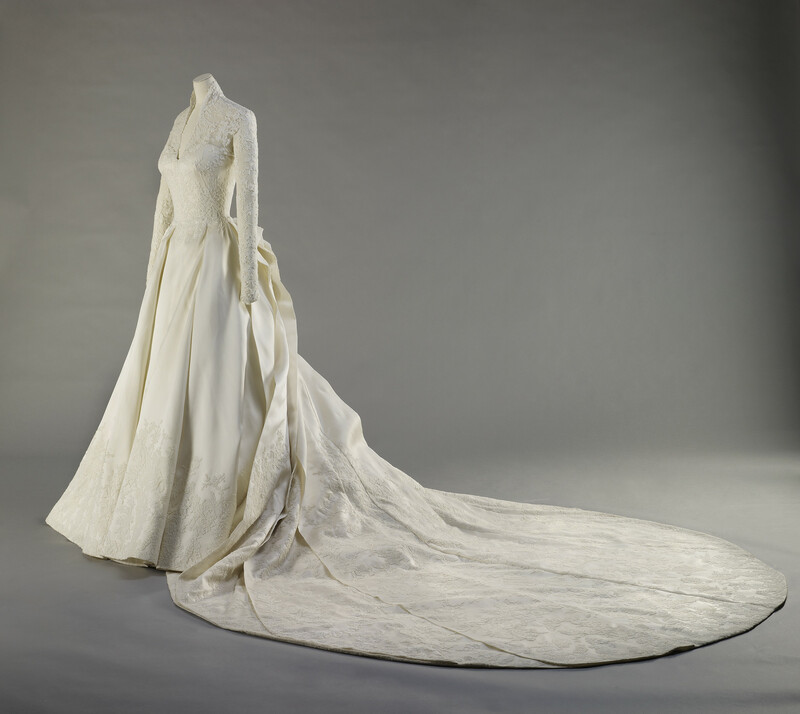 The Duchess of Cambridge's wedding dress. The ivory gown of white satin gazar with overall lace applique work with floral detail, the full skirt with box pleats, the back leading to a 9ft train. The lace bodice with V-neck line and long sleeves. The lace detail incorporating the rose, thistle, daffodil and shamrock.